Contacting Amtrac of Ohio, Inc. for a track inspection assures you that the right solution will be provided for your track problems. 1. Provide a written report identifying any track defects. 2. Provide budget costs for short-term repairs and long-term maintenance. Following the inspection report, Amtrac of Ohio, Inc. will work with you to perform maintenance and repairs that meet your current budget. We will provide a firm price estimate for the scope of work that best meets your company's needs. Once Amtrac of Ohio, Inc. is contracted for repairs, one of our efficient and quality concious track crews will provide the type of service warranted from a competent and professional railroad contractor. 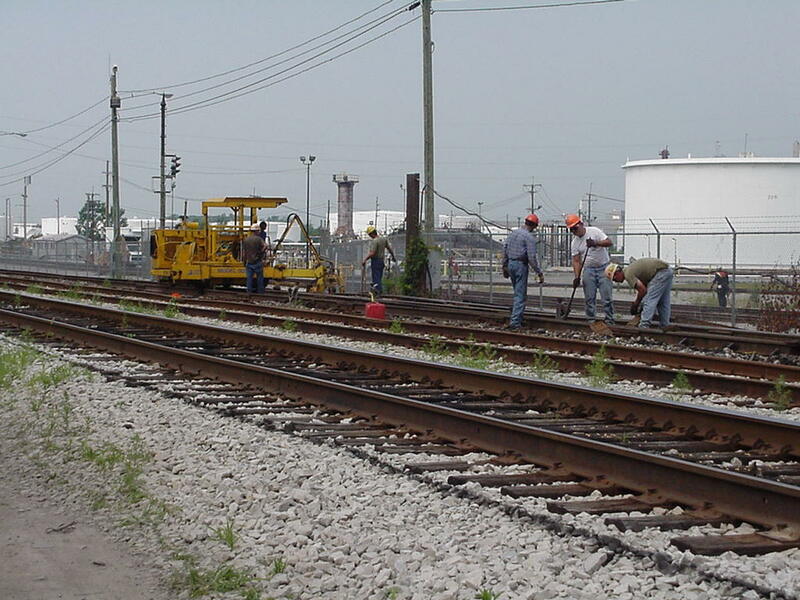 Amtrac of Ohio, Inc. is your answer for minor repairs, total rehabilitation of tracks, and emergency track repairs. Contact Amtrac of Ohio, Inc. for a Track Inspection and Estimate.